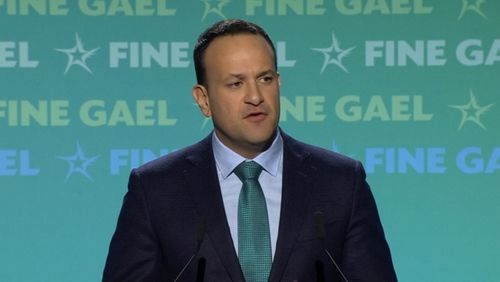 The Taoiseach has said the European Council must be open to a long extension if the UK decides to "fundamentally reconsider its approach to Brexit and put back on the table options previously ruled out". Leo Varadkar said he believed that would result in a "generous and understanding" response from the EU27. In a statement after the House of Commons once again rejected Theresa May's Withdrawal Agreement, Mr Varadkar said it is now up to the UK to indicate how it plans to proceed to avoid a no-deal Brexit scenario. Mr Varadkar said the European Council has agreed unanimously that the Withdrawal Agreement will not be re-opened. He said that while Ireland has been "preparing intensively" for a no-deal scenario, nobody should underestimate the difficulties that would present. Mr Varadkar welcomed the decision by Donald Tusk to call a European Council meeting on 10 April. He said he will meet French President Emmanuel Macron in Paris on Tuesday, while German Chancellor Angela Merkel will travel to Dublin on Thursday. "I will also speak to other Heads of Government by phone," the Taoiseach said. "It is now incumbent on the UK to chart a realistic way forward for consideration at that Council meeting." A spokesman said the meetings with Mr Macron and Ms Merkel would focus on Brexit and the particular challenges posed by Ireland's proximity to the UK. A Government spokesman has stressed that the question of the Irish border in a no-deal scenario will not be the principle topic of discussion at next week's meeting between the Taoiseach, Mr Macron and Ms Merkel. The spokesman said the meetings will focus on "where we go from here" following today's vote in the House of Commons and preparations for the emergency summit of EU27 leaders in Brussels on 10 April. While the talks will cover how to uphold the single market while also avoiding a hard border on the island of Ireland, that will not be the main topic of discussion, the spokesman said. Speaking ahead of the visit, Mr Varadkar said: "Both leaders have been strong and consistent allies of Ireland in responding to the unique challenges we face from Brexit. "I will again express the Government's gratitude for their continuing solidarity. We will take stock of the latest developments on Brexit when we meet, efforts to secure ratification of the Withdrawal Agreement and no-deal planning." "We will also take the opportunity to consider the Future of Europe agenda. "Important discussions lie ahead, with an informal summit on the Union's strategic agenda due in early May in Sibiu, and negotiations on the EU budget for the period after 2020 due to be finalised by the end of this year". Former President Mary McAleese has expressed deep regret over Brexit, which she said was like a political version of a wasting disease that has consumed time, relationships and reputations. In a speech to the DCU Brexit Institute, she said it was like giving children a toy catalogue on Christmas eve just as all the shop are closing down and joked the title of her speech was "Haven't a clue" as it is about Brexit. Mrs McAleese said there is no predicting the outcome, but she still believed British Prime Minister Theresa May’s deal is the best hope for an orderly departure. She said Brexit is an immensely disruptive decision that will cast a long shadow and Ireland will be particularly impacted. She also bemoaned the fact that new relationships of ease and respect built between Ireland and UK over the years as we sat around EU table at many levels are in danger and the absence of that in future will be an irreplaceable loss. Mrs McAleese said Brexit is a lesson in how not to go about radical constitutional change and warned that when a future unity referendum arises in Ireland, there is a duty to prepare the ground in advance and delve into all the issues that might arise such as flags, emblems, anthems and economics. That must be done long before a referendum goes live, she said. She said an army of scholars lawyers intellectuals and people of good will be needed to approach that issue in a respectful way.